Until fairly recently, you may have been forgiven for assuming that certain parts of the globe were off-limits to cruise ships, but it is time to think again. With the advent of the adventure or expedition cruise industry, just about every corner of the earth is now accessible via ship. Forget the Antarctic Peninsula, you can now now sail all the way from New Zealand down the entire eastern side of Antarctica, or perhaps visit the far Russian Arctic, or stand atop the world at the North Pole. These epic cruise options are hidden gems just waiting to be experienced by people wanting something a little different from the standard day-to-day itineraries. 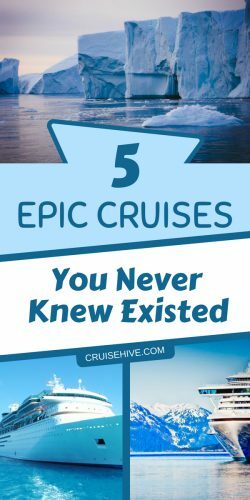 To help you find the perfect adventure, consider these top five epic cruises that you never knew existed. Yes, that’s right, the North Pole can now be reached directly via a cruise ship. The cruise ship sailing to this extraordinary destination is no ordinary vessel, however, it’s a nuclear-powered ice-breaker called 50 Years Of Victory. She has enough power to plough through the thickest of ice sheets and just hearing the ice cracking beneath her is a sensation in itself. Once at the North Pole, you can take an unforgettable hot air balloon ride to witness the top of the world from above. You’ll also sail through Franz Josef Land archipelago en-route which is an excellent place for spotting polar bears. This cruise does not come cheap, however, with standard ticket prices starting at $28,000. Warm clothing is a must for these regions, take a look here. Antarctica is now becoming one of the most popular expedition cruise itineraries on the market. With its friendly wildlife, unique ecosystem, and otherworldly landscape, it’s easy to see why. However, if the standard peninsula trip doesn’t get your juices flowing, you can opt for a more epic option. The New Zealand to Antarctica itinerary takes roughly three weeks and allows you to explore a part of the world that few humans have ever witnessed. On your week-long crossing you’ll visit remote islands such as Macquarie, Auckland, Snares, and Campbell, where huge bird colonies squark and swarm above you and penguins can fill the shores. 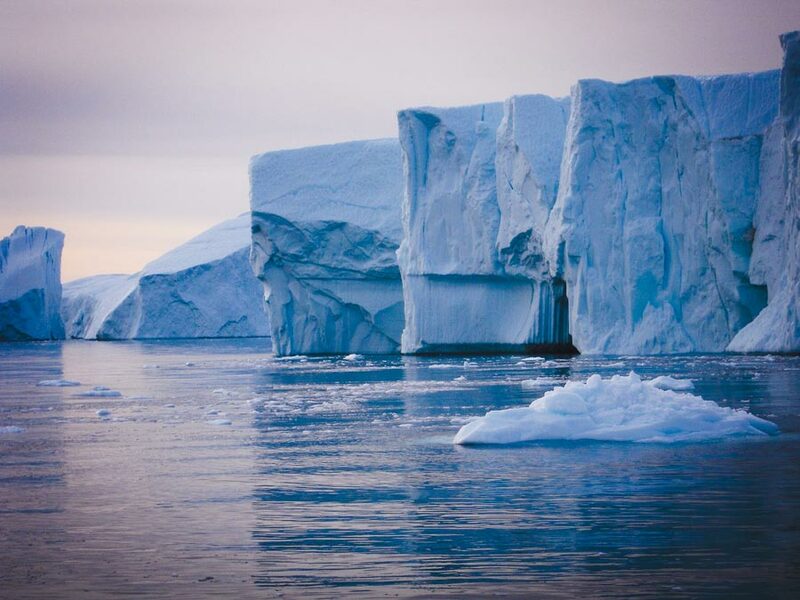 This is also a fantastic cruise for history lovers, as you explore the eastern coast of Antarctica made famous by Mackay, David, and Mawson in the early 1900s when they reached the South Pole. Thanks to global warming and melting sea ice, this infamous passage is now one of the most epic cruise itineraries on the planet. Stretching all the way from Greenland to North Alaska, the Northwest Passage eluded explorers for generations until Norwegian explorer Roald Amundsen finally made it through in 1906 after three years of travel. Nowadays, the Passage takes a great deal less time and is far less perilous. Sip champagne as you sail past huge glaciers, local Inuit villages, and ancient Thule remains. All the while, you’ll be cozy in the knowledge that your state-of-the-art ship is using all of the latest technology to safely navigate the Passage. For wildlife lovers, the Passage is a delight, offering the chance to see polar bears, musk oxen, narwhals, walruses, and beluga whales all in one trip. Cape Horn and the Patagonian region provide passengers with one of the most amazing cruises in South America, hands down. Although infamous for its bad weather and rough seas, during high summer the conditions are very manageable (although thunderstorms are still common). Australis Cruises operates 5- and 9-day itineraries that take you into the very heart of Tierra Del Fuego National Park. For wildlife enthusiasts, there is plenty to see, including penguins, seals, whales, dolphins, alpacas, and the magnificent puma. Photographers will love the stormy weather mixed with the fantastic glaciers and seascapes. If you like epic landscapes, moody weather, and lots of wildlife, the Cape Horn cruise is certainly worth considering. Remember to pack carefully though, the wind gets mighty strong! Until very recently, politics and the summer pack ice in the Chukchi Sea stopped people from being able to visit this part of the world by ship. Even by Russian standards, this area is remote, with some villages only receiving electricity in the last decade. But this is all part of the attraction for this epic cruise. The highlight of the cruise is the Kamchatka region and Wrangel Island. Kamchatka gives passengers a great shot at seeing brown bears whilst Wrangel Island practically guarantees sightings of polar bears. If you’ve ever seen a picture of 50 polar bears eating a whale carcass, it was taken here. The island is, unsurprisingly, a UNESCO world heritage site and home to countless other species including musk oxen, foxes, and millions of seabirds. If you have $8,000 in your travel budget, this cruise is a must-do. Whichever epic itinerary interests you most, you can’t go wrong with these once-in-a-lifetime cruises. If you would like to know more about these cruises or any other expedition itineraries, please visit Expedition Cruise.